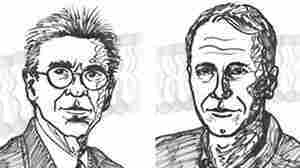 October 14, 2013  The Royal Swedish Academy honors U.S. professors Eugene F. Fama, Robert J. Shiller, and Lars Peter Hansen "for their empirical analysis of asset prices." October 7, 2013  The Nobel Prize in Physiology or Medicine 2013 goes to three scientists for discovering how cells secrete hormones and neurotransmitters. The research provided sweeping insights into how the brain transmits signals, the immune system attacks pathogens and insulin gets into the bloodstream. 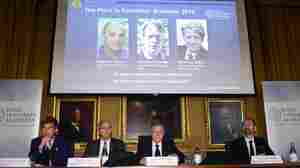 October 7, 2013  The trio was celebrated by the Nobel committee for unlocking a key mystery of cell function. The researchers "have revealed the exquisitely precise control system for the transport and delivery of cellular cargo," the committee says. Book News: Did A Missing Testicle Make J.D. 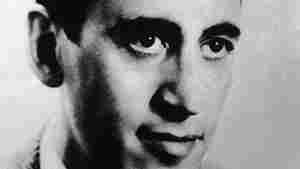 Salinger A Recluse? September 5, 2013  Also: Ladbrokes breaks down the favorites to win the Nobel Prize; Edward Albee on character; poet Natasha Trethewey on meeting Seamus Heaney. 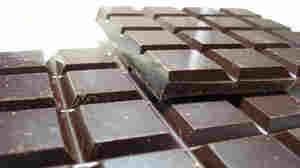 October 12, 2012  A cardiologist has some fun plotting how a country's chocolate consumption may predict Nobel prizes. The outlier, he notes, is that Sweden, the home of the Nobel, seems to get more than its share of the prizes. October 10, 2012  Because about half of all drugs act on the receptors that let humans sense their environment, the scientists' work has been incredibly important for the development of pharmaceuticals. 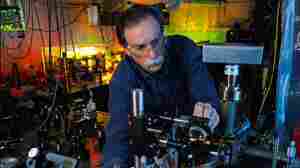 October 9, 2012  David Wineland of the National Institute of Standards and Technology is one of this year's two Nobel physics winners. NIST is the federal agency known for keeping accurate time using the atomic clock, and Wineland's Nobel has implications for even more accurate time-keeping. But what else does NIST do? 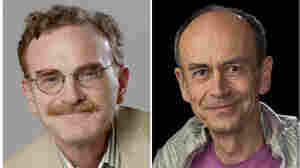 October 9, 2012  Serge Haroche of France and David Wineland of the United States have been honored for their work on the interaction between life and matter — in particular, the "fundamental interactions between light particles and matter." June 12, 2012  Her work on commonly managed property was honored. In 2009, she told NPR about how as a young woman she wasn't allowed to study trigonometry because it was thought she would be "barefoot and pregnant in the kitchen." She died today. 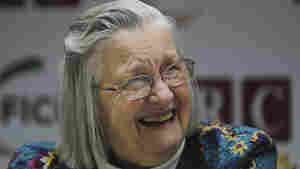 Ostrom was 78. May 8, 2012  "I'm 101 at the moment," Ronald Coase told me. "I get older by the minute." 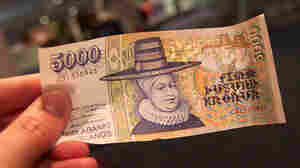 Should Iceland Kill The Krona? April 13, 2012  Does it make sense for a country the size of Staten Island to have its own currency? Iceland wants to know. 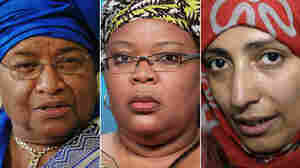 Left to right: Nobel Peace Prize laureates President Ellen Johnson Sirleaf of Liberia, Liberian "peace warrior" Leymah Gbowee and Tawakkul Karman of Yemen. October 7, 2011  Liberian President Ellen Johnson Sirleaf, Liberian peace activist Leymah Roberta Gbowee and Yemeni protest leader Tawakkul Karman are being honored. Poet and Nobel laureate Tomas Transtromer at his home in Stockholm in March. October 6, 2011  His work "gives us fresh access to reality," the Nobel committee says. 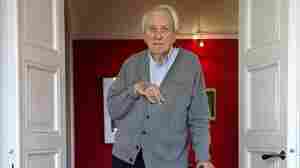 The surrealist poet has also spent a career as a psychiatrist working with institutionalized children. Remnants of Tycho's Supernova, seen in an X-ray/infrared composite image. 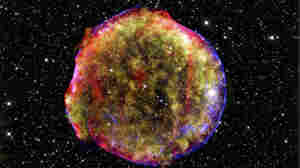 The supernova was observed by Tycho Brahe and other skywatchers in 1572. October 4, 2011  Nobody expected the result. Nobody knew what to do with it. It came as a complete surprise. It sent cosmologists back to their blackboards, rethinking the structure of the universe and its history. Now the work has earned a Nobel Prize.